Grafton’s favourite country music son, Troy Cassar-Daley, is just one Golden Guitar short of Slim Dusty’s 38, following this year’s Tamworth Country Music Festival (January 17-26). 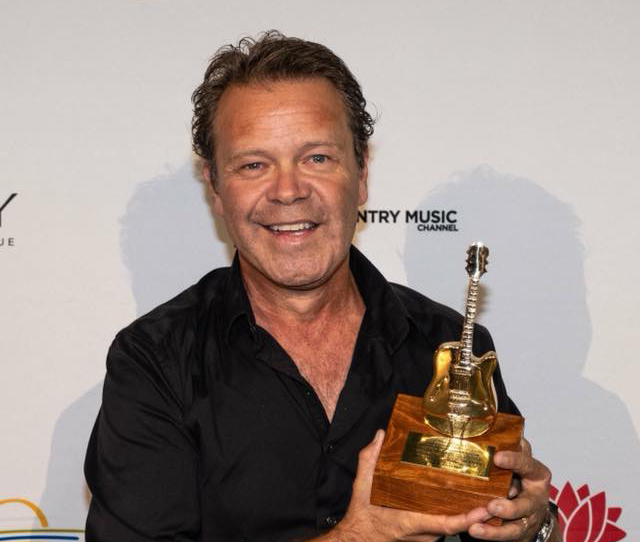 Cassar-Daley won Heritage Song of the Year with his song, Shadows on the Hill, at the Country Music Awards of Australia (CMAA). Upon receiving the award, Cassar-Daley told the story of his song: “Last year a cousin suffered from cancer, who we have since lost, and we decided to get together to have a men’s gathering on Gumbaynggirr country, back home. “Our old uncles told us about things; they mentioned this big old massacre that happened up the river. “There was a place we weren’t allowed to go as kids, and we always wondered why we weren’t allowed to cross to that side of the river. “As soon as she said that, you just got back there. “And there was a very funny feeling in our stomachs when we got over to the other side of the river. “I always wondered why; it was because this massacre happened. Cassar-Daley choked down on tears when he recounted what his cousin, Matthew, had told him in a letter during the “palliative part of his life”. “It’s [now] part of my story,” Cassar-Daley told the audience, “and it’s Matthew’s song. “And now I’m giving it to you [the people]; this is our story, now. Summing up his awards’ experience, Cassar-Daley wrote on his Facebook site: “Winning my 37th golden guitar for my song “shadows on the hill” was a total honour and to share our land’s history good and bad is vital to us all in the long term, I reckon. Cassar-Daley joins Lee Kernaghan, who also has 37 Golden Guitars, on the CMAA honours list.